Cleaning blinds is something that needs to be done often. Which is unfortunate since it’s a pain to clean blinds! But if you don’t keep up with this housekeeping chore by vacuuming them regularly with your hose attachment, then when you do get around to it, the grime can be thick and hard to remove. Here are some tips for how to clean your window blinds so you can stay on top of this time consuming chore! 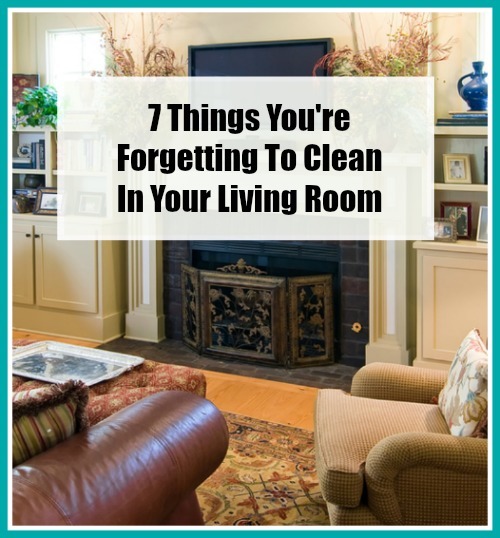 Are you dreading cleaning your blinds? Give these tips a try! They’ll get your blinds clean quickly and easily! 1. Get out the tongs. 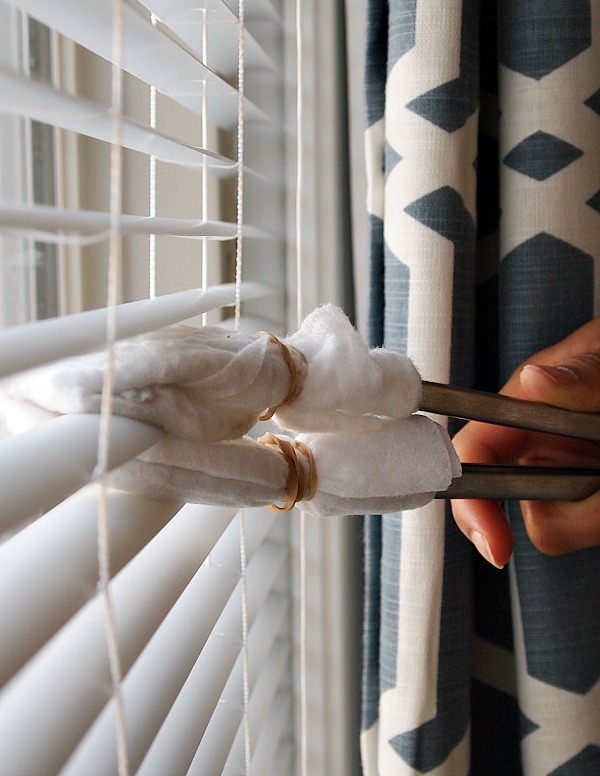 This might be one of the most brilliant cleaning hacks yet if your blinds are just dusty. Get out a pair of tongs and use a rubber band to attach a Swiffer or rag to each end. Then, just clamp the tongs over each section of blind and wipe clean. This is an easy way to grip each blind individually and so much easier than trying to get my hand in-between slats. I have vinyl mini blinds so I use a Swiffer. If you have larger blinds like faux wood blinds, you might be able to use thicker micro-fiber cloths (I found those made my tongs too big to get in-between the mini blind slats). 2. Vinegar is your best friend. Vinegar does a great job at cutting through grime and it won’t discolor your vinyl, aluminum or faux wood blinds either. Use a white vinegar and warm water mixture (a 50/50 mix) to get blinds sparkling. It’s cheap, it’s easy, it’s all natural! You can even add a few drops of essential oils if you wish for scent or even for their deep cleaning properties. Of course wood blinds, can be cleaned with furniture polish instead. 3. Pull out the garden sprayer. If your blinds are really dirty, take them outside for a thorough wash. Simply remove them, lay them on a tarp, and use your garden sprayer to spray them clean. You can use dish soap if you wish to add a little more cleaning power. Then, just allow them to dry via the power of the wind and sun. 4. Get a can of keyboard cleaner. Yes, keyboard cleaner is for more than just keyboards! A can of keyboard cleaner can help if you want to give your blinds a quick touch-up between cleanings. Just use the nozzle to blast away dust and dirt and the next time you need to do a deep clean, your work load will be lighter. 5. Try the trickle down effect. For a quick way to clean your window blinds without tons of scrubbing, try the trickle down effect. Turn your blinds so they are facing at a downward angle. Place a towel at the bottom of them. Spray the top few slats liberally with the cleaner of your choice. Allow the liquid, grease, and grime to run down and meet the towels at the bottom. Then just wipe dry and you’re done! 6. Wash them in the bathtub. If you have a lot of blinds to clean or they need a deep cleaning you can soak them in a bathtub with a little bit of Dawn dish soap (here are 20 Frugal Ways To Use Dawn). 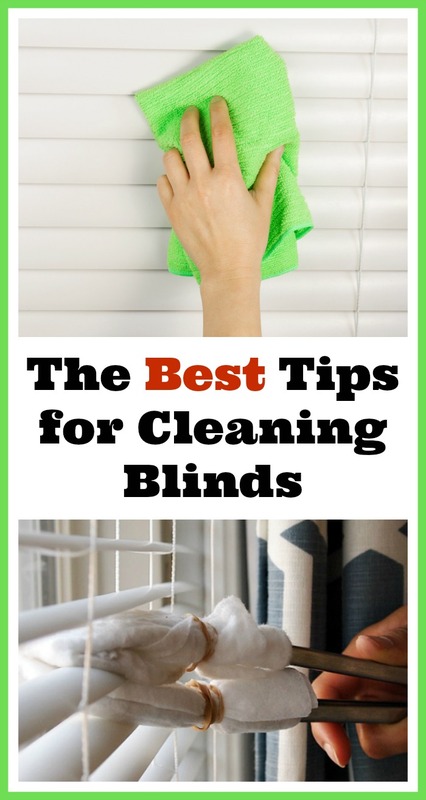 Use a sponge or rag to go over both sides of the blinds. Remove and rinse (I use my detachable shower head to rinse). You can fill the bathtub with clean water to rinse if you can’t use your shower head. Place on towels and gently dry both sides. Be careful not to bend the slats. The most important thing about cleaning blinds is that you just have to keep up with them! Remember to be gentle since blinds bend and dent easily. 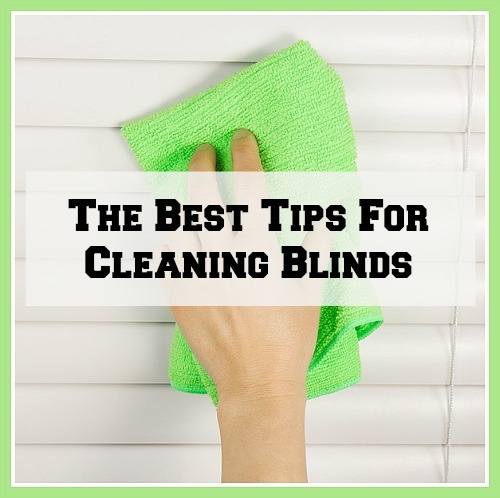 Give these tips for cleaning blinds a try and see how simple it can be to keep them spotless! How do you clean your window blinds? Great article! Can I find keyboard cleaner under other names like spray duster cans or they are different product?